Paulsen adds to his stable of survival stories with this historical piece set during the American Revolution. Samuel and his parents live out on the frontier and Samuel is at home in the woods, hunting. 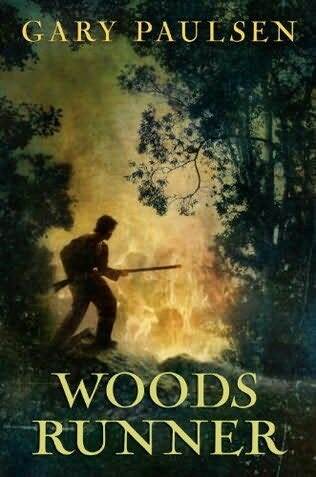 But one day he returns from his day in the woods to find the entire settlement burning and ransacked, with many dead and others taken prisoner. The British and Iroquois had torn through the area, taking or killing as they may. Samuel immediately sets off in pursuit to rescue his parents, but how can a 13 year old take on a squad of soldiers and natives by himself? His path will lead him nearly to his death, and onto New York City in the attempt at a desperate rescue of his family. Fans of adventure and historical fiction will be drawn into the bluntly told tale and may even seek out more information about what happened in the background of the Revolutionary War besides the big battles.